Leaders who can’t accept themselves are sure to look down on others. Disapproval is the hammer of perfectionistic leaders. Pursuit is energized with humility and snuffed out with perfectionism. I’ve heard people say that they don’t fail. They always succeed. 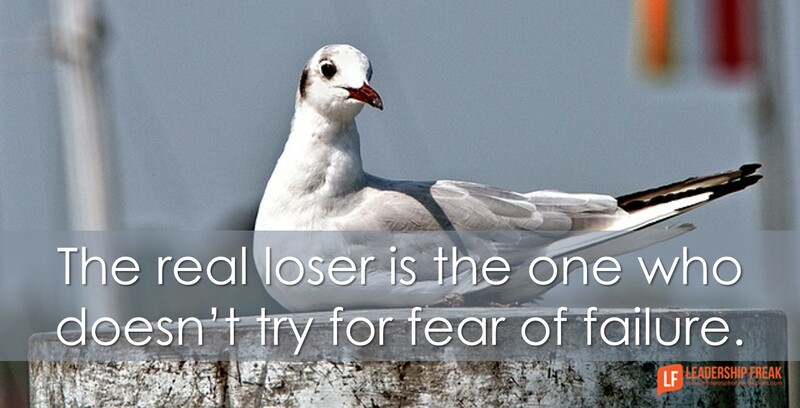 That means fear of failure prevents them from reaching high. It also means they reject real humans beings on their team. The pursuit of excellence includes the acceptance that you aren’t there yet. Those who can’t accept falling short, can’t reach high. Anything that requires pursuit also requires humility. The only way to change the future is to accept an imperfect past and change now. #2. Honor talent in others. Perfectionists preserve the illusion of their own perfection by highlighting the imperfection of others. #3. Own failure and learn. The leader who always has to be right can’t learn from being wrong. #4. Realize that acceptance – not perfectionism – is the beginning of influence. Accept people for who they are if you hope to unleash their talent. The expectation that others won’t fail is stifling rejection that leads to manipulation. How might leaders accept imperfection and pursue excellence at the same time? Well said! #4 Acceptance is the best.Then, call me a loser. Important distinction between excellence and perfection. Used to try to be perfect, now strive for excellence, and self-acceptance allows for that. Growth mindset vs. fixed mindset. Learn from every failure. It’s a lot easier and more effective than pretending and defending. It feels better, too.